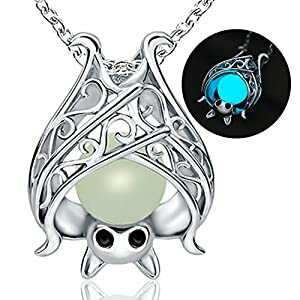 Silver Pendant Glow In The Dark Necklace bring funny to your life Material:925 Sterling Silver,Plated white-gold.By flashlight shining on the necklace about 30 seconds , it will keep glowing for about half an hour in the dark. 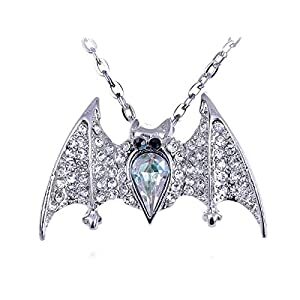 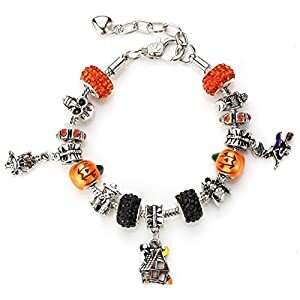 Each piece is High-quality sterling silver,lead-safe, nickel-safe and cadmium-safe,long-term wear can make you healthy. 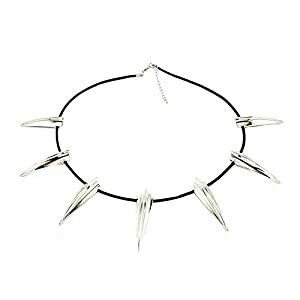 Cosplay Necklace Silver or Gold Black Panther Necklace Wakanda King T’Challa For Mans or Womens Unisex Collar,Perfect Interpretation of the Role. 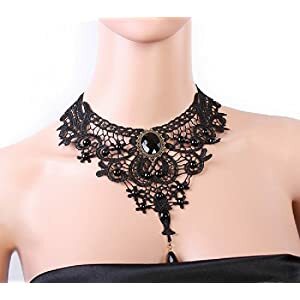 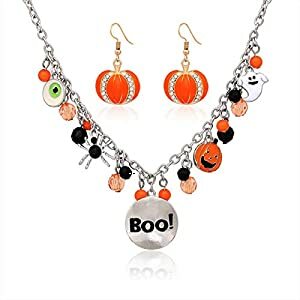 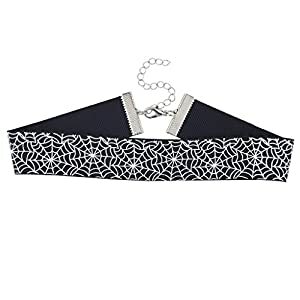 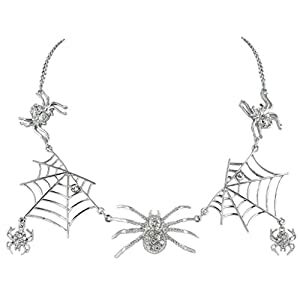 Festive white spider web design on an black grosgrain choker with a silver tone finish Pair with your costume, or just get a little festive this Halloween season! 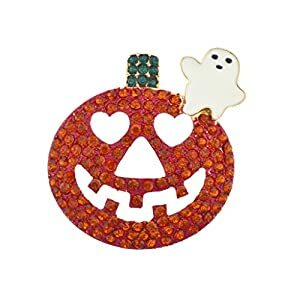 Measures: 12"
Say Happy Halloween with this bling brooch Orange and green pave stones with enamel ghost in gold tone finish Measures: 2"
Fashion punk style silver stainless steel bracelet Bangle perimeter adjustable between 18-24cm/7.1"-9.4", silver plated alloy skull and shining crystal decoration Excellent texture, suitable for daily collocation, night club wear, party jewelry, Halloween gift etc. 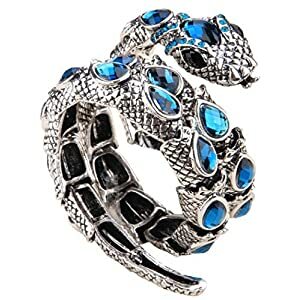 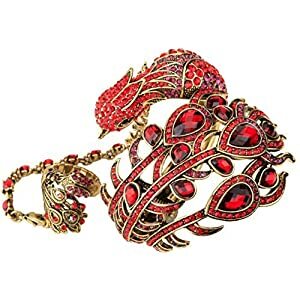 Sparkling crysals and resin,big stones are resin,rest are crystals Band width 2.75inch (widest end),bracelet inside circumference 7inch,stretch ring fit most finger size Alloy with antique gold or silver plated,lead and nickle free.